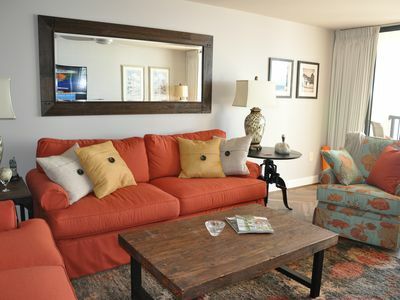 Enjoy your vacation in our beautiful two (2) level condo will easily accommodate 14 guests with six (6) bedrooms, a pull-out couch and four (4) full bathrooms. 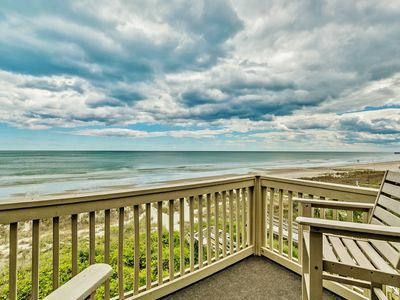 This spacious 2,500 square foot unit in Pier Watch Villas is located directly across the street from the beach in Cherry Grove, SC. 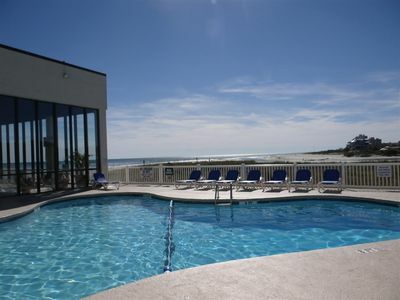 Pier Watch guests have the use of two (2) heated pools. 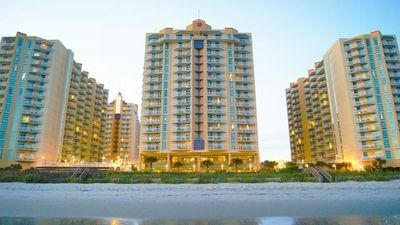 The first pool is located at Pier Watch II, and the second pool and hot tub are located at the Pier Watch 1 building directly across the street, facing the ocean. 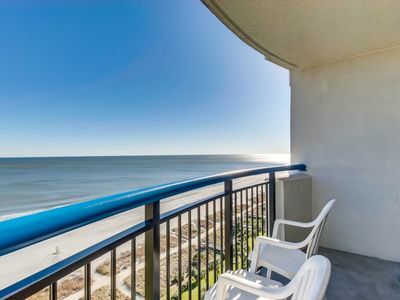 Picnic tables with a grill area are conveniently located on the adjacent to the Pier Watch 1 building, so you can grill and enjoy the beautiful ocean views. 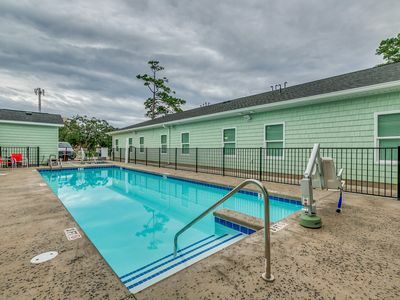 Our unit is across the street from the Cherry Grove Pier, where you can walk to the Broadwalk Beach Café Restaurant/Bar, get a sundae, or catch some fish. 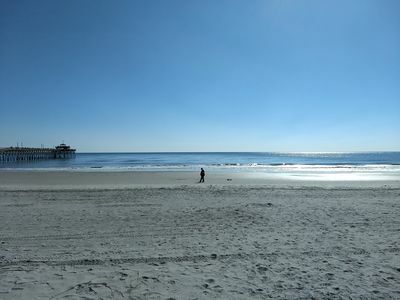 Just a short walk down the beach, there are outdoor activities such as parasailing, surfing, jet skiing, and more. Our unit is fully equipped and ready for large groups. The kitchen has two (2) full-sized refrigerators, oven/stove, microwave, toaster, Keurig®, dishwasher, and is fully stocked with cookware/dishware. The dining area has plenty of seating for family and friends. A new 60”smart TV is in the living room for you to enjoy. 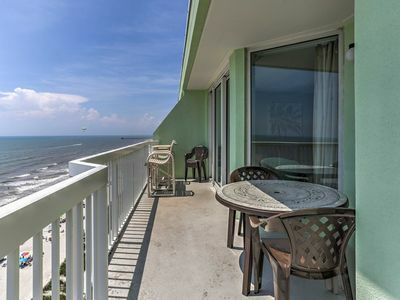 Directly off the living area is a cozy balcony, a great place to enjoy the fresh breezes and an afternoon sweet tea. Another balcony is located off the second floor bedrooms for more room to spread out. Two bedrooms are located on the first floor. 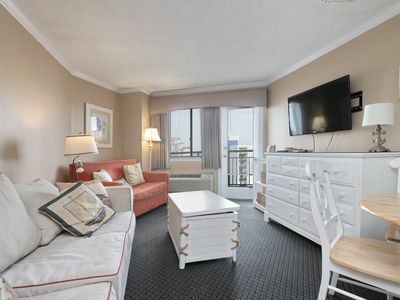 The first room has a king bed (swing king) and the second bedroom a queen bed. 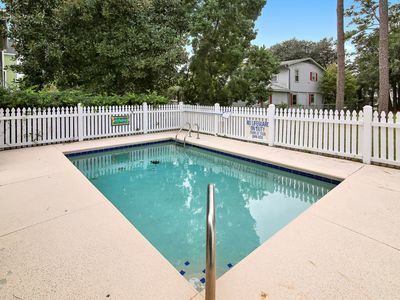 Upstairs there are four (4) bedrooms, two (2) master bedrooms with king beds, and bathrooms en suite, one of the master bedrooms has a walk in shower with a separate whirlpool tub. Bedroom 5 has two (2) twin beds; bedroom 6 has a queen bed. 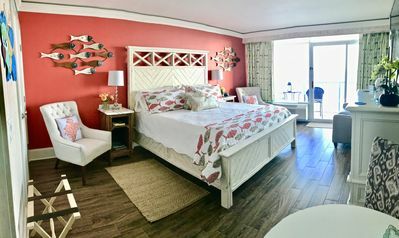 Flat screen TV’s are in every bedroom, two of the bedrooms also have smart DVD players, all rooms have free WIFI and ceiling fans, hairdryers are also in all bathrooms. A separate laundry room is also located on the second floor that has a large capacity washer and dryer units. 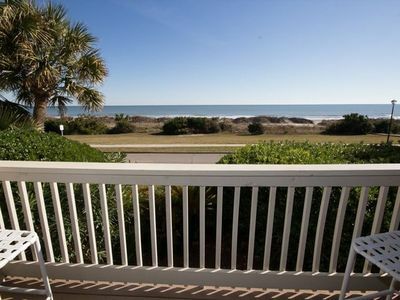 Cherry Grove is a lovely beach community. 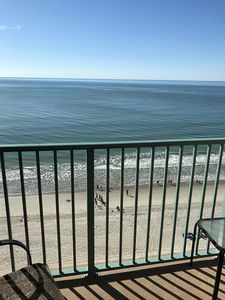 Our condo is a short drive or 10-minute walk to a local landmark, Boulineau’s, which sells groceries, beach supplies, beer/wine, home goods and hardware. Several souvenir shops and local restaurants/bars are also within walking distance. 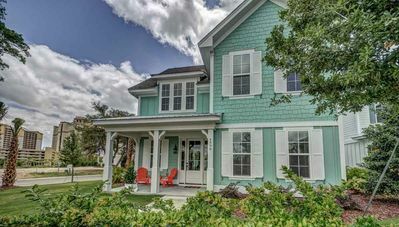 Over 30 restaurants and more shopping are within three (3) miles of Cherry Grove. 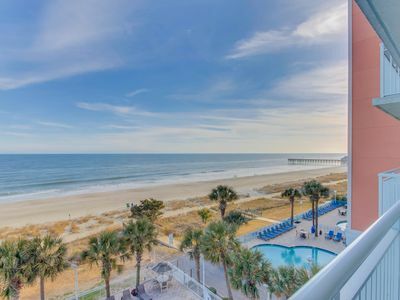 For more variety, Myrtle Beach is just a short drive away, with something for everyone: beaches, restaurants, shopping (including 2 outlet centers), museums, water parks, mini golf, concerts and over 100 championship golf courses. 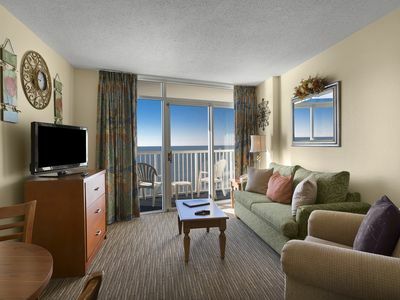 And to ensure your vacation is even more relaxing, you can rent all of your vacation equipment from the property liaison, Rental Leaf. 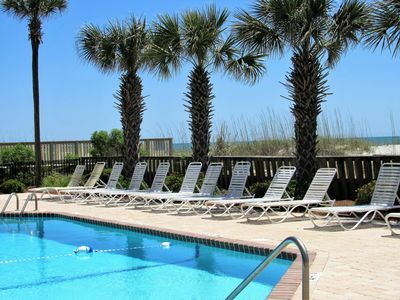 Available rental items include beach umbrellas, chairs, coolers, body boards, and more – anything and everything you will need for a perfect vacation. 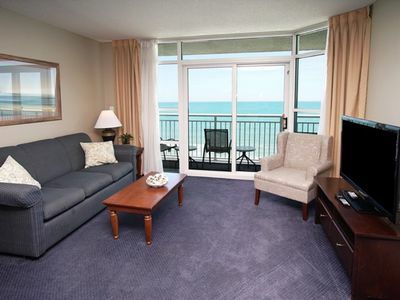 Come Discover this Newly Updated 1 BR Oceanview @ Bluewater Resort! 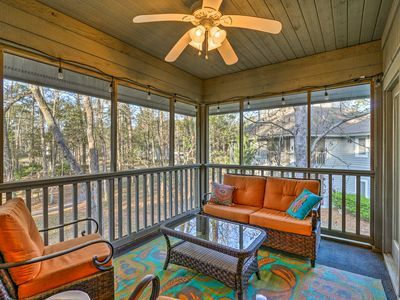 2BR 2BA Brand NEW Condo! !